In 1905 Albert Einstein made a great discovery that changed the world. He proved through quantum physics that everything is energy. In other words, you are a conscious being in control of your own energy. In fact, your entire reality is based on the energy you give off. The world is your mirror and your experiences reflect your energy...until you change it. You see, you carry a lifetime of negative emotions, fears, resentments, and limiting beliefs. These patterns create blockages that limit your experience of life. Over the years you’ve accumulated layer upon layer of what I call subtle energy patterns. These patterns are what drive your life in the direction it’s going and often sabotage your best attempts for joy, love, health and prosperity. These negative subtle-energy patterns are the source of every problem you face. Your patterns are unique to you and have been forming since you were born (and in some cases, even before that!) and they will persist until you begin my process to clear them. Accumulations of subtle-energy patterns have you in their grip, and unless you remove them, you will end up having one disappointment after another. But it’s not your fault…. You have been culturally hypnotized to think of yourself as flesh, bones, atoms, and cells. Somehow, society as a whole has ignored Einstein’s discovery! 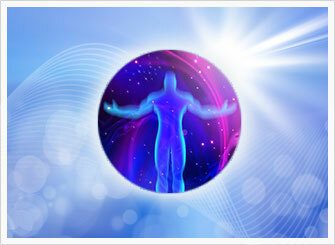 People tend to forget about their layers of vibrating energy…the key to complete transformation! I would like to show you how to use this key to unlock the most dramatic transformation of your life. I have spent over 4 decades studying energy and in my new course, Energy Self Mastery for Spiritual Awakening, I will show you how to apply my proven Self-Mastery techniques to transform your life from the inside out. You will systematically eliminate negative energetic programs and be introduced to the wisdom and guidance of your soul. I have discovered a way to permanently eliminate these unhealthy energy patterns from your energy field and life… forever. You’ve heard that affirmations, visualizations, and meditation are the answers to get what you want in life. But, what you don’t realize is that you can spend hours and hours doing these things only to end up energizing the very things you DON’T want. The truth is, removing your subtle energy patterns is the key to a total transformation both internally and externally. 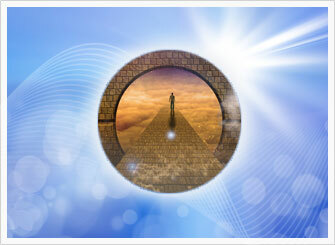 Together I will guide you to locate and clear hidden energy patterns at every level. Wealth, happiness, satisfaction and the spiritual breakthroughs you have always wanted will appear….almost magically! You may have thought that is nearly impossible for you or it is only for those born under the right star. But I'm here to tell you that today, such a life is much closer for you than it’s ever been before. In the past, only the most dedicated seekers have found the secrets to permanently clear discordant energy patterns. 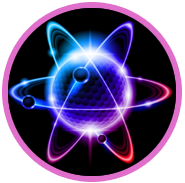 But now The Energy Self-Mastery Course gives you all the tools you need. Hi Jonathan. Your classes and breadth of knowledge are amazing. I'm so grateful that I took the "challenge" and registered. I'm fairly new to this type of information and way of thinking/living. When I saw your free webinar describing this course and what you'd be covering I actually wept tears of joy in the knowledge that I'd found the right course and the right teacher. You didn't disappoint. 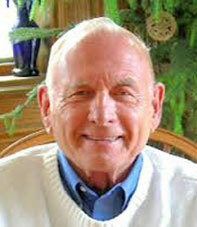 Hi I’m Jonathan Parker, author and intuitive personal-development counselor. After years of soul-searching and research, I discovered the answers to the biggest unanswered questions that keep us limited. Hint: They are in the realms of the subconscious and subtle-energy patterns. And, I also discovered that it is very possible to clear those patterns and blocks. 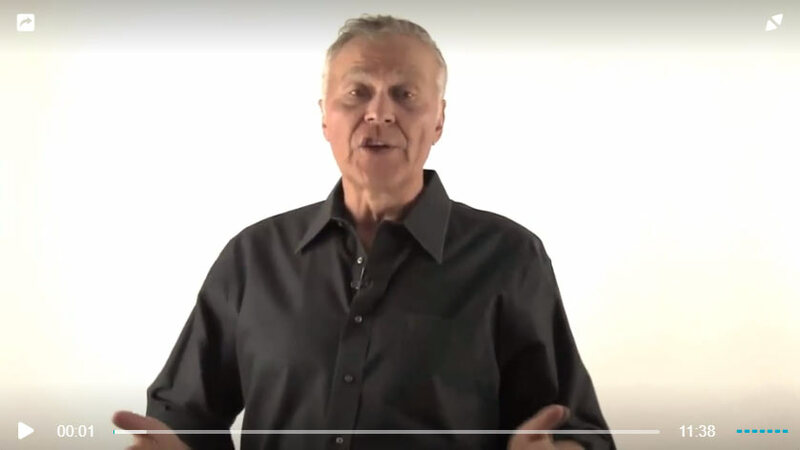 In the past, I’ve only taught these techniques to my select students in my live classes, but I have now found the way to deliver them to you in a comprehensive program in the convenience of your own home or office. "In my opinion, Energy Self-Mastery for Spiritual Awakening is for people who have reached the point where they are ready to stop searching for and seeking truth to finding and embodying it. It is all an "inside job." It is also for those who have humility and openness and want to learn how to trust again, and who want to be shown the way to go home and be free. It is for those who have a burning desire to fully and only express their enlightened soul, and are fully committed, determined, and have the strength and maturity to stay the course and practice daily. It is for those who are ready to be amazed at how well the techniques work, and can approach the training playfully rather than being too serious." A radically different, systematic approach to "Energy Clearing"
Energy Self-Mastery for Spiritual Awakening is radically different from any personal growth program you’ve ever seen or tried before. That’s because we will NOT just talk about the patterns or problems that have been holding you back. You will actually be guided to systematically remove the subtle energy patterns and replace them with an attractor field of empowered inspiration, fulfilling happiness, automatic abundance, and spiritual breakthroughs. Together, we will walk through a proven series of guided sessions that I created to completely and permanently eliminate your patterns that have stood between you and your dream life for far too long. This is NOT a sit-back-and-listen seminar. You will participate and you will be changed! This is NOT a “be inspired, but don’t take action” webinar. You have finally found someone to guide you through it! This is NOT another program that makes you wish you could be more spiritual, more successful, or happier. This is the program that makes those dreams your reality. 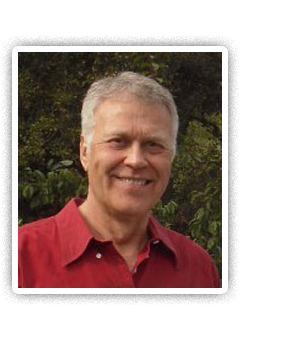 Jonathan's work as a spiritual counselor and his latest book, The Soul Solution have been recognized by many leaders in the self-awareness field. ...All of us need to cultivate our connection with our soul. The Soul Solution offers us a superb path to integrate the wisdom of our soul with our individual life path, allowing stressful issues to be, as Jonathan Parker writes, ‘dissolved by the Soul’. 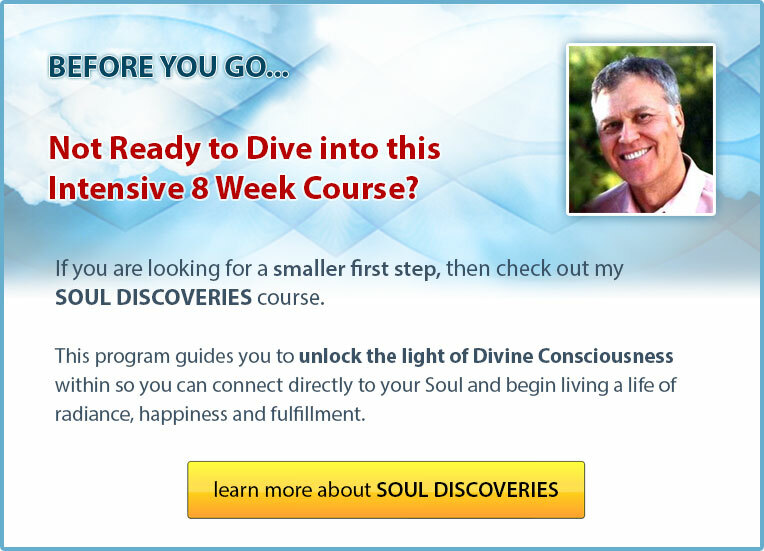 The 8-week Energy Self-Mastery for Spiritual Awakening curriculum is divided into 8 convenient modules and includes 44 interactive multimedia videos with training and hands-on guidance to help you! 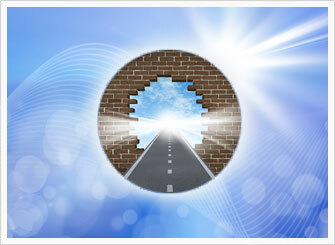 You begin your transformational journey with learning how to break free from the forces freezing you in limitations. You’ll be guided with unique tools for Transformational Energy Self-Mastery that you can use for the rest of your life. The Flow of Clearing Energy. Everything in the universe is energy, and we have accumulated many different types of energies over many lifetimes that create and attract people and circumstances to us. These energy formations attach themselves to us and collect in various parts of our bodies. This meditation process helps you release anything stuck in your aura or body. Directing a flow of clearing energy is a powerful technique for clearing you. You will explore how your mental, emotional, and spiritual life is affected by fragmented energy in your auric field, and how to tune into, know, and feel your soul’s healing presence deeply. Third Eye Opening to Receive Clear Psychic Insights. Being psychic and intuitive really helps you to understand the soul and enables you to attune to high levels of consciousness and hold it. You can then clear blocks, limiting beliefs, and emotional reactions so they can’t ever re-emerge and dominate your life. 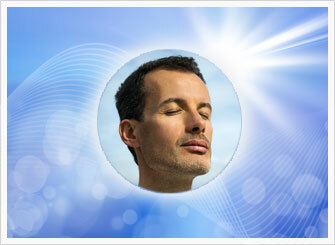 Look forward to discovering and removing all the limiting programs you carry in all 7 of your aura layers. 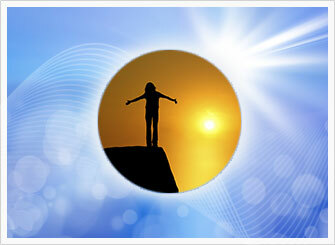 This is where you will eliminate the subtle-energy causes of insecurity, health issues, and financial blocks. Explore Your Aura Layers. Guided sessions take you into explorations of each of your 7 aura layers and the physical, emotional, and spiritual issues associated with each layer. You will address issues from childhood, rejection, betrayal, love, self-worth, self-confidence, life purpose, relationships, beliefs, fear, anxiety, grief, sadness, blocks to enlightenment, and techniques on how to clear them. Finally feel what it is like to live a brighter, happier, more inspiring life. Imagine what it will be like to live connected with your soul and spirit in peace, confidence, and trust. Clear Your Over-Active Mind. You’ll discover the main obstacle to your spiritual awakening, and explore how it has affected your life, as you are guided through a powerful clearing process of analytical, questioning, and doubting mental programs. Deep Inner Listening. Receive clear guidance with a deep inner listening session. Immerse yourself in the timeless dimensions that open you to spiritual awakenings that bring contentment, unconditional love, and deep inner peace each and every day of your life. You have a purpose to fulfill in your lifetime but to do so you must have mastery over the subtle energies you carry with you. Why? Because they hold the programming that limits you and keeps you stuck. 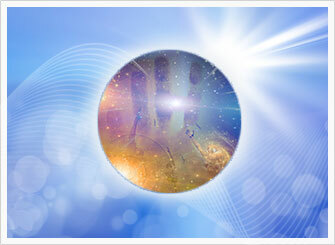 The healing methods in this module are crucial to empowering you to step into your mastery. Clearing and Healing Release Session. You are guided to determine the nature and characteristics of what is causing blockages and negativity, and then systematically be led to clearing the core causes. You will apply numerous techniques to discover and eliminate the source of what is not letting you move forward with your life whether it is health, money, love, relationships, or spiritual goals. From the moment you fully step into the transformational power of your soul, you will see fast and permanent results. Your soul is the key to the depth of your transformation and the accelerating force in attaining enlightenment realizations. Once you experience that, a whole new life opens before your very eyes. Alignment and integration of your soul is your master key to ascension. Regression and Return to Source. Explore the forces at play in your life through a past-life regression, and ascend in meditation to merge with your transcendent spiritual Source. This is one of the favorite ascension sessions that reveals deep realizations. 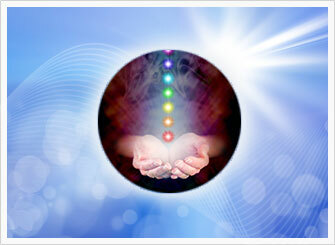 Soul Alignment Healing and Clearing. This healing process will align you with the deepest aspect of your soul enabling quantum shifts in consciousness. The process works much more rapidly than conventional processes common to other forms of therapy. Deep Forgiveness of Yourself and Others. This guided meditation leads you step-by-step with a deeply effective forgiveness process engaging the precise wording of your forgiveness intentions. This meditation is a most powerfully liberating process that brings clearing and comfort to your heart. You will be embraced by the mercy, compassion, and kindness of your very soul. Everyone has been affected by thousands of years of collective human conditioning through layers of false information, faulty conclusions, and distorted beliefs. While they keep the majority deluded through these illusions and myths, if you are brave enough, ready enough, and committed enough you can step out of the mental, emotional, and spiritual traps that have held you captive. Healing with Spirit. Experience an exciting and powerful guided session with angels, masters, spirit guides, and archetypes that will open surprising new doors even for experienced meditators. Clearing the Layers. Our spiritual path is an inward journey through many layers of hidden traits and masks which are like filters covering our soul. In this meditation you will be guided to dive deep into the energy layers to reach enlightened states of consciousness. The villains in your life have sabotaged your relationships, undermined your financial goals, drained your health, and created frustrating barriers to the spiritually enlightened life you have long sought for. Far beyond the “why” and “what” you have found before the Energy Self Mastery Course, you are lead through the proven methods that clears your slate of the negative forces. You can sustain enlightened states of consciousness only by becoming clear. This is the one area where many on a spiritual path have faltered. In this module you will be guided step-by-step to address and clear physical issues, emotional issues, relationship issues, conditions of lack, struggle, suffering, or disappointment. Deep Soul Clearing. During this unique session, you’ll move through each necessary step in a soul-clearing process that leads you to discover the causes of every type of pain, struggle, block, emotion, or suffering. Including deep beliefs and thoughts that underlie your feelings and physical symptoms. Then you will form a deep and strong soul integration to merge its love, light and healing all through you. And, believe it or not, that is just a fraction of what you’ll discover over the next 8 weeks when you sign up for the Energy Self-Mastery for Spiritual Awakening program. Login to the private member area and dive into the course content on your preferred device. Dear Jonathan. I agree with you that it is unbelievably packed full of so much richness of information and experiential aids that we could spend years repeating and integrating what is here for us. Thank you for all your effort and expertise at putting it together and making it available. I especially enjoy the replays because of the way they are divided into more manageable portions of time. I especially like meditations like the one on soul alignment and healing – anything that takes me into the deeper places within and into higher frequencies. Again, thank you and deep love and appreciation to you from my heart. I would like to thank you for a great webinar. I knew that the course would be very good if you conducted it and I am pleased to report that it exceeded all my expectations. Your courses and programs have enriched my life. Now, with your instruction I am developing a relationship with my soul and I like where it is going. May you be blessed just as you are a blessing to the lives of others. From the heart, David F.
I have found the webinar content and format very helpful. After the first or second session, I found that your technique when trying to fall asleep was amazingly helpful. I have not taken anything for sleep since incorporating that technique and have been sleeping better than ever. I have had trouble falling asleep and turning off the mental chatter since I was a child. That one thing made this webinar worth it to me. I have been working on letting go and life is much easier and more enjoyable. I think this format is very helpful since it can be accessed any time. What I would say to people considering the training? It is definitely worth it. There is more valuable and helpful techniques, meditations, and information than I expected. If you are short on time, the replays are available for years. If cost is a concern, there is the 3 month payment option, and think of it as an investment in the most important pursuit of your life: your overall progress and spiritual awakening. The training is really helping me to identify problem areas and to clear past issues as well as day to day upsets. This training has also deepened my understanding of the work I have done in the past. I appreciate the in-depth discussion of the topics. For me, remote learning is an ideal way to be able to take these classes and learn the material. Thank you so much for everything; I look forward to the rest of the journey! I am really enjoying the class. There is so much info. I am grateful for that. I have to say I feel more grounded already. I feel that I have more energy as a result of the class work. Thank You, Thank you, Thank you! I am only on week 3 of your class but I wanted you to know it is amazing. You are doing a fabulous job. So transformational. Sue B. said she has had the best first week of her entire 30 year teaching career due to the clearing techniques she is using. I want to thank you from the bottom of my heart for your discussions and explanations of the Ego. I now recognize that the voice in my head that, from childhood, has been telling me I am too stupid, undeserving, untalented, lazy etc etc etc, to accomplish anything, is NOT the voice of God, or any higher power. I can't tell you the impact that realization is having on my life. Your explanation is what solidified my understanding of its origin, original purpose, and most importantly that we have a choice to NOT believe it. In a hundred lifetimes, I couldn't thank you enough for that gift! You have a way of inspiring and empowering me, and this letter is a manifestation of the changes I am going through. Thank you for showing up in my life, exactly when I needed you most! In my opinion, Energy Self-Mastery for Spiritual Awakening is for people who have reached the point where they are ready to stop searching for and seeking truth to finding and embodying it. It is all an "inside job." It is also for those who have humility and openness and want to learn how to trust again, and who want to be shown the way to go home and be free. It is for those who have a burning desire to fully and only express their enlightened soul, and are fully committed, determined, and have the strength and maturity to stay the course and practice daily. It is for those who are ready to be amazed at how well the techniques work, and can approach the training playfully rather than being too serious. This class with you that teaches techniques to clear energy blockages to help to grow spiritually. It gives tools to put into daily practice, as well as techniques to go deeper into issues clear them. It helps you to understand what is going on and how the ego tries to distract you from your spiritual path. The Energy Self-Mastery program is like having a personal mentor showing you exactly what steps to take and guiding you "by the hand” with exactly what to do, and how to do it, until you succeed! Meet Jonathan Parker, Ph. 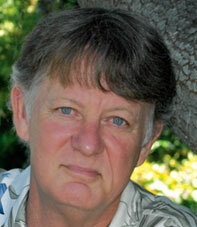 D.
Dr. Jonathan Parker has been a groundbreaking thought leader for more than 35 years. 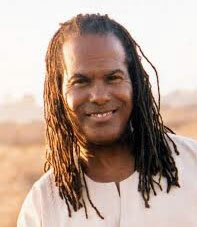 He is considered one of the country’s foremost experts on subtle-energies and the effects on a person’s health, relationships, finances, and spirituality. 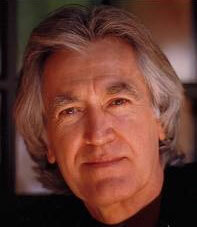 His landmark book, The Soul Solution, has been transformational in the lives of many thousands. Jonathan has been ahead of his time with many innovative applications of accelerated learning and personal transformation techniques. His wide spectrum of programs tap the deepest reservoir of human capabilities and inspire success in achieving the highest of human potentials. His programs have touched the lives of millions lifting them to achieve personal excellence and financial success, as well as realizing their dreams of vibrant health, winning performances, and reaching the heights of the human spirit! With Energy Self Mastery, you will be rewarded with the same teachings from Jonathan’s sought after, sold-out classes and retreats, but at your own pace—anytime and anywhere at your convenience. I want to make sure there is absolutely nothing stopping you from having complete success with this course! So I’ve included $188 worth of great bonuses to help you even more on your journey. Everyone has the ability to be psychically and intuitively sensitive, and this ability is incredibly helpful to you in discovering and clearing your blocks and stuck patterns. The key is learning how to tune into this natural ability, and then continue practicing and developing the skill. The meditative sessions in this program will guide you to do this. Your Higher Self is sometimes called your True Self, or Soul, and developing an ability to receive answers and guidance from your Higher Self is one of the most beneficial abilities you could ever have. Now with the 4 guided meditations in this program you can open yourself to loving guidance and discover vital insights and revelations. You never need to feel alone on your path when you are in contact with angels, master teachers, and guides. Open your communication with the beings of love who await your call to assist you in all your needs. Heighten your natural intuition and higher-sense perceptions to see and understand the subtle energy patterns around people, animals, and plants. Your subconscious beliefs and negative patterns are the ones that place limits on your accomplishments. With this program you unlock the real secret to breaking free by creating a positive and successful mind-set in your subconscious mind. If for any unlikely reason Energy Self Mastery doesn’t live up to your expectations, we’ll promptly send you a refund within 30 days of your date of purchase! No questions asked. and Save 50% Off the Retail Price! 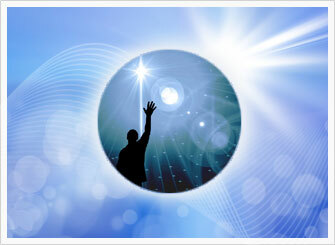 Yes, Jonathan, I want instant access to the Energy Self-Mastery for Spiritual Awakening program! I understand that my investment will reserve a coveted spot in your program and guarantee I’m one of the lucky people who are able to take advantage of this special opportunity, including your special discount. By taking action, I am happy to save over 50% off the retail price (regularly $997, now only $497). I understand that I will also get INSTANT ACCESS to the course materials and can begin benefiting from this groundbreaking program immediately! Plus, if I don't think the training was right for me at this time, I have a full 30 days to ask for a no-questions asked, no hassle 100% refund. I would like to start the course ASAP. What happens after I place my order? As soon as you checkout, an email will be on it’s way to your inbox. This email will contain your username, password and login link so you can begin the course immediately! Will I be able to access this course when I am away from home or on vacation? The lessons are streamed to any computer or mobile device and can be accessed at any time. Simply login to your member area and start enjoying the content. Is this course available on CDs? The Energy Self-Mastery Training consists of more than 40 online video presentations which may be watched or listened to on any computer, smart phone, or portable device. The program is not available on CDs. Is there a timeline to complete the course? This is a self-paced course. One new module is released every week for 8 consecutive weeks. Each module contains several hours of instructions and guided sessions. Some of the processes are intended to be repeated several times before going on to the next module. You can take as much time as you’d like with the lessons as once they are in your account you’ll be able to access them at any time. You have nothing to lose and everything to gain. Don’t wait another minute to live the life of your dreams and experience the most transformative breakthroughs you’ve dreamed about!